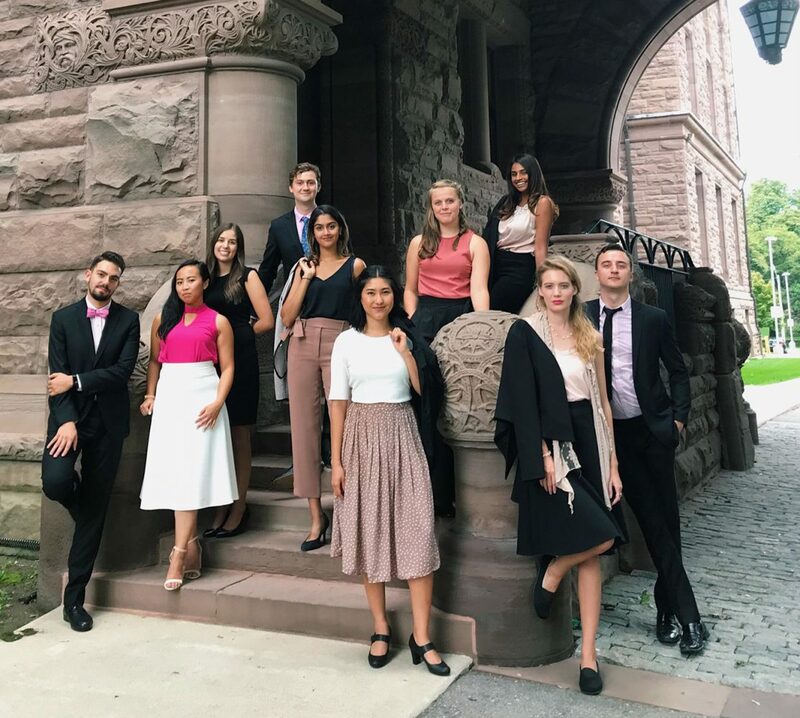 Our first week in the Ontario Legislature Internship Programme was filled with a flurry of meetings with interesting conversations and learning about all aspects of the legislature. One meeting that stood out was meeting the Speaker of the House – Dave Levac. Levac has been considered, “one of the most effective Speakers in recent memory.” When asked what characteristics an effective Speaker must have, Levac identified different traits: impartiality; the recognition that all members have obligations; and a positive attitude. These qualities were reflected during our meeting, where Levac discussed his work on Sabrina’s Law. As a former educator and principal in Brant, Levac explained that a student suffered from antaphlatic shock. He recognized that Ontario did not have a uniform process to address this, and that students deserved better. As such, Levac was a proponent for Sabrina’s Law, which was implemented in the United States. As such, Levac’s advocacy has cross-jurisdictional effect. It must be noted that this was not simple, and Levac advocated for five-years. Thus, Levac identified that navigating politics was similar to, “waltzing gracefully on a moving carpet.” The interns have reached a consensus that Levac has mastered the art of “waltzing gracefully,” and look forward to future interactions with Levac. Levac also emphasized the necessity of truth, which can be interpreted in the context of Canadian history. In other words, speaking truth to power. This was fundamental for establishing a positive relationship with the indigenous population. Levac argued that relationship building is predicated on the truth– this establishes trust amongst people. Levac began by introducing the role of the Speaker, stressing the principle of impartiality and going through some of the challenges and responsibilities of his role. Throughout the meeting, the speaker created a friendly atmosphere, allowing us to have more of a conversation rather than a question period. During our conversation, Levac strongly emphasized the power of relationship-building and community building. We left the Speaker’s office with laughs, new knowledge and most importantly a strong understanding of the role and duties of the Speaker.